It’s only 12 more days until our Holiday Open House. Brian has been making wreaths non-stop since his first cutting on Nov. 9th. Mom and I have just finished making the wreath prototypes for the decorated ones. It’s always so much fun bringing them to life and enjoying the creative flow from each other as we try to make something fun and festive for folks to enjoy. Most of you probably don’t know we’ve been making wreaths as long as we’ve been sugaring. That’s over 26 years! Brian will have to make another trip north to cut more greens this week for the rest of the wreaths and swags we need to make. 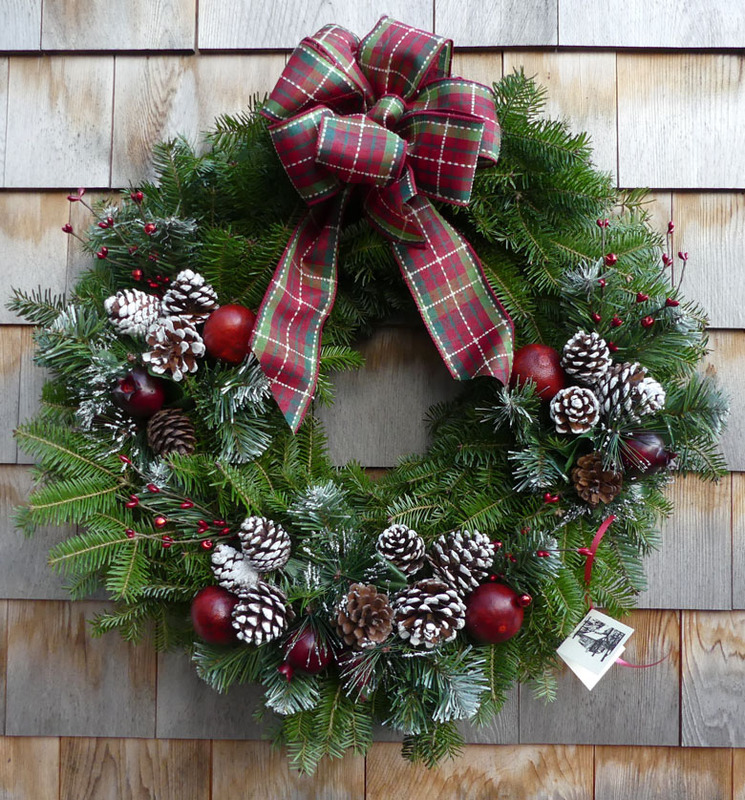 Waiting to cut until after a hard frost in the north country helps our wreaths hold needles well into the winter. Most last into early spring if not in direct sun. So don’t miss out and come by December 2nd 9am to 4pm and December 3rd 10am to 4pm.